Every physical object created by man is made up of choices throughout the value chain: materials, manufacturing techniques, sourcing, intellectual property, logistics, services, usage, lifespan, end-of-life etc . All these choices impacts how much solutions will cost, how much energy is required, what carbon footprints are generated, how long it will last and so on. It has become apparent that business as usual is not sustainable. 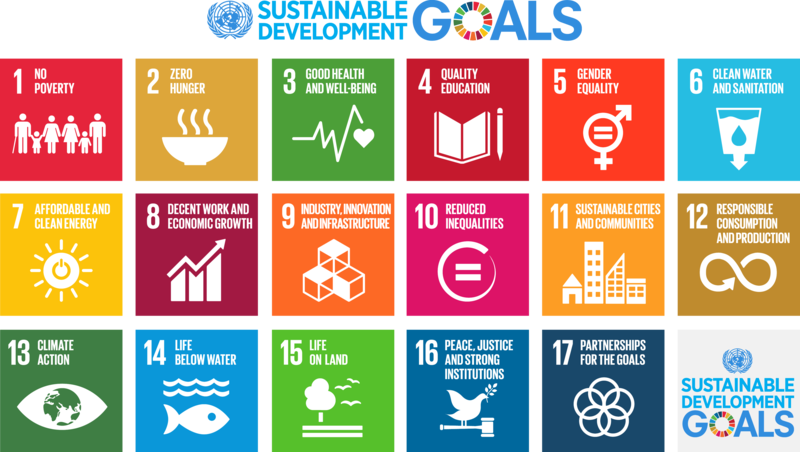 UN has set 17 Global Goals that effect social, ecologic and economic sustainability. 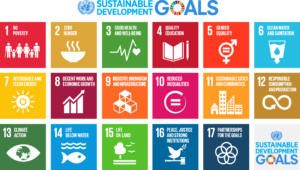 These global goals are used as strategic goals for major companies not only as part of their sustainability work but also becoming part of their branding strategies. Material Challenge Lab focus on solutions that correspond to UN´s global goals especially on Affordable and Clean energy (7), Industry and Innovation (9), Sustainable Cities and Communities (11), Responsible Consumption and Production (12), Climate Action (13) and Partnerships for the Goals (17). Iconic picture of circular economy created by Ellen McArthur Foundation. 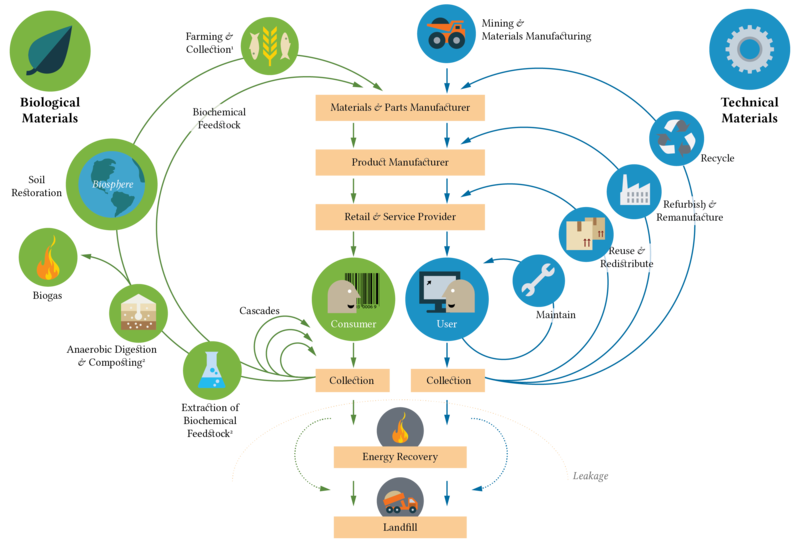 Circular Economy as describe by Ellen McArthur foundation is a more sustainable system solution where there is a shift away from a linear object orientated economy towards a circular function and service oriented economy. Where companies ”will own the functions and borrow the materials”. Material Challenge Lab strive towards finding solutions that enforce, correspond and are implementable in a future circular economy. Solutions that are based on smart uses and combinations of advanced technologies, natural (grown) materials or waste streams, IoT and industry 4.0. 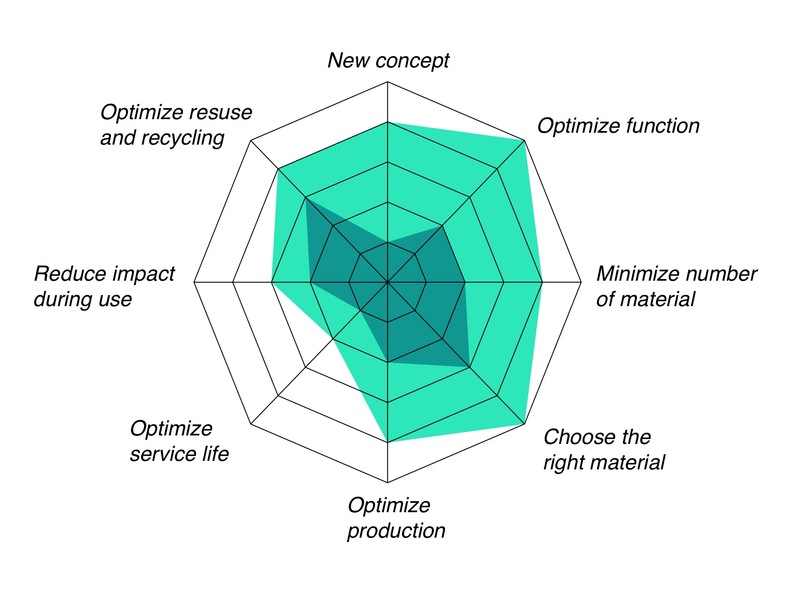 Methologies used are often Life Cycle Analysis (LCA), superpositioned with Life Cycle Cost Analysis (LCC) and Life Cycle Profit Analysis (LCP) and during the design phase work in accordance with ISO 14001, Eco design wheel, Cradle2Cradle and/or DFDA.